We live the entrepreneurial spirit. We believe in extraordinary execution. Ideas that trigger our inspiration and emotions excite us – frictionless travel, sharing concepts and a world with less poverty. Our projects are handpicked and have a vision that goes beyond what we can build. Behind these visionary ideas, there are structures and processes in place that make sure we work in the most professional and efficient way possible. Lean management and agile processes define our daily work and make sure that we as a team as well as our products get better every day. 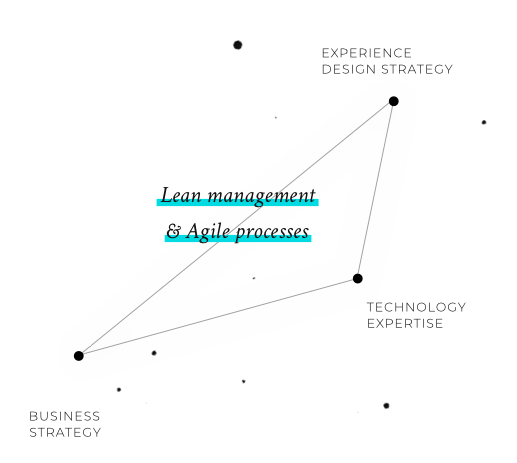 Our main contribution is in the areas of Business Strategy and Entrepreneurial Thinking, Experience Design as well as Technical Architecture and Development. We are partners who play a crucial role for the success of a product. We bring ideas to life.